section with two polyps, total length of portion shown 10 mm. Abbreviations: a - anthocodia, c - cortex, ca - calyx, m - medulla. (Adapted from: GC Williams. 1992. The Alcyonacea of southern Africa. 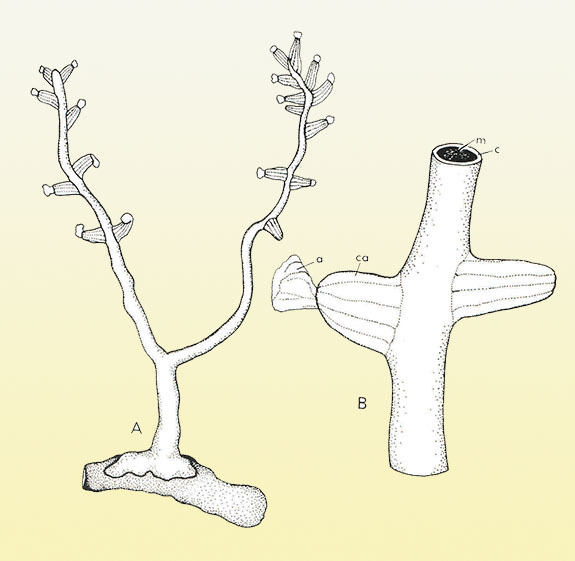 Gorgonian Octocorals (Coelenterata, Anthozoa).